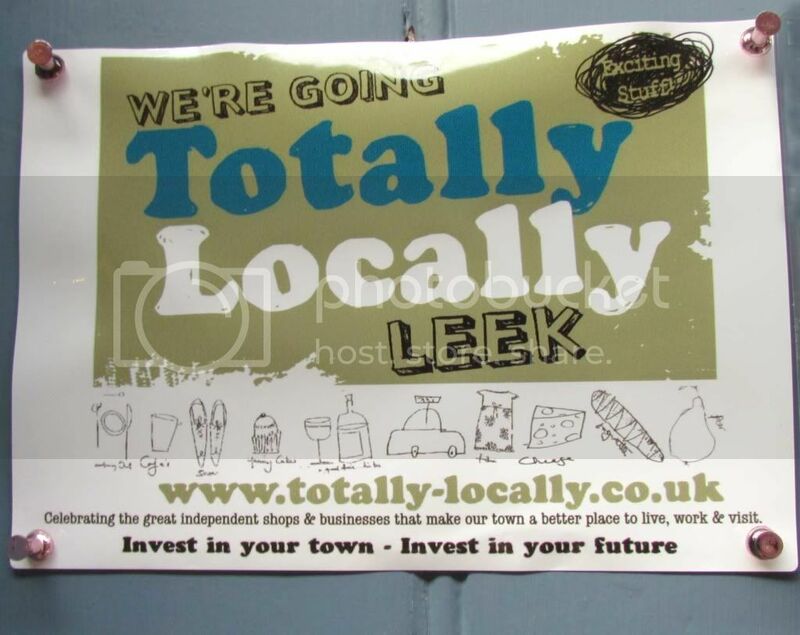 Back in January I was reading one of my favourite blogs Curlew Country and Steph posted a map of her local town Leek which I instantly pinned in my places to go Pinterest board. 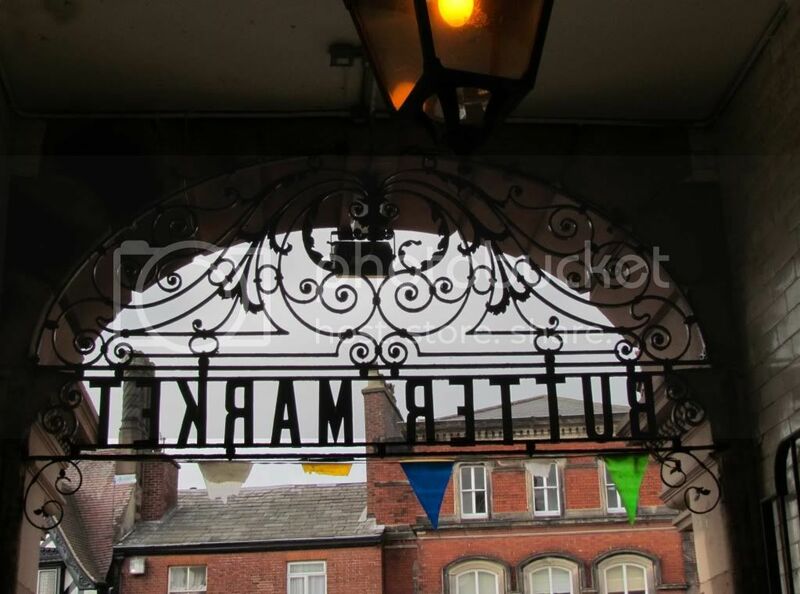 It's surprising that I had never been to Leek before as it's hardly a long way from where we live....so we decided to go en route (of a fashion) to visiting relatives in Macclesfield and I was pleasantly surprised. 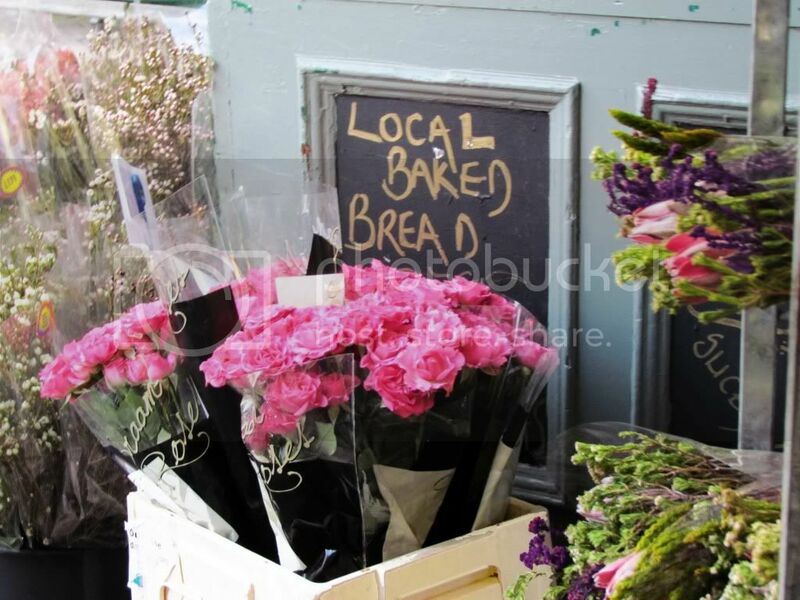 It's a bustling market town with plenty of independent shops to investigate and a strong emphasis on buying locally through the Totally Locally campaign. 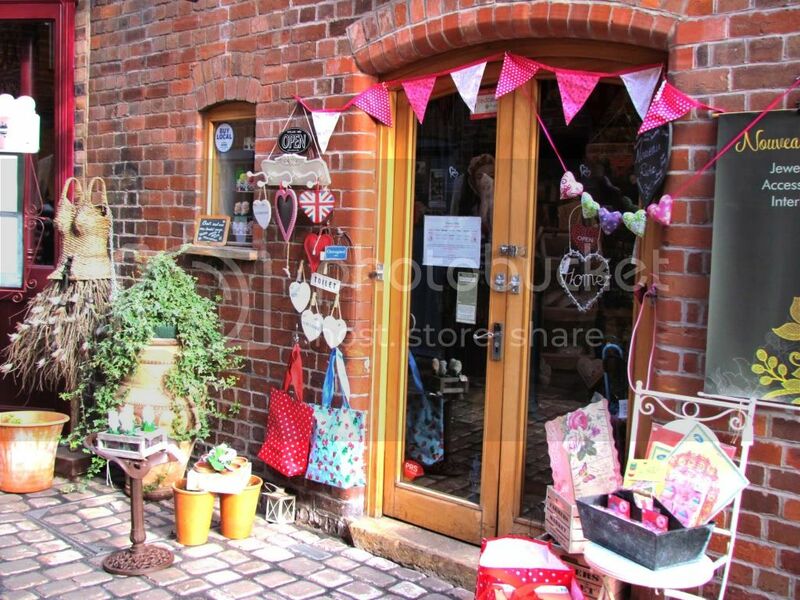 Plenty of shabby chic shops to explore and a quaint Victorian style arcade laden with handcrafted goods, cupcake accessories, flower candles, garlands, polka dot bunting and the smell of coffee is bliss. Historic shops and great architecture are seen throughout the town. 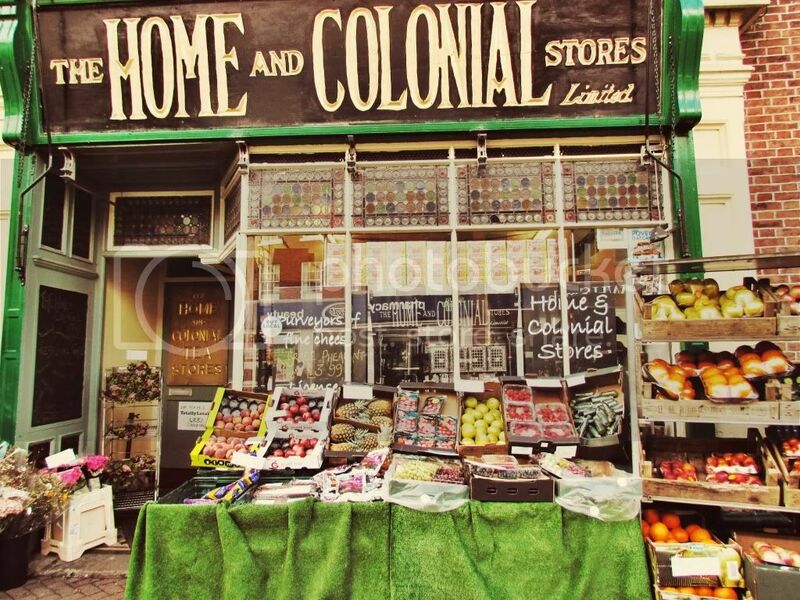 The Home and Colonial Store, family run for generations is amazing and a real curiosity. 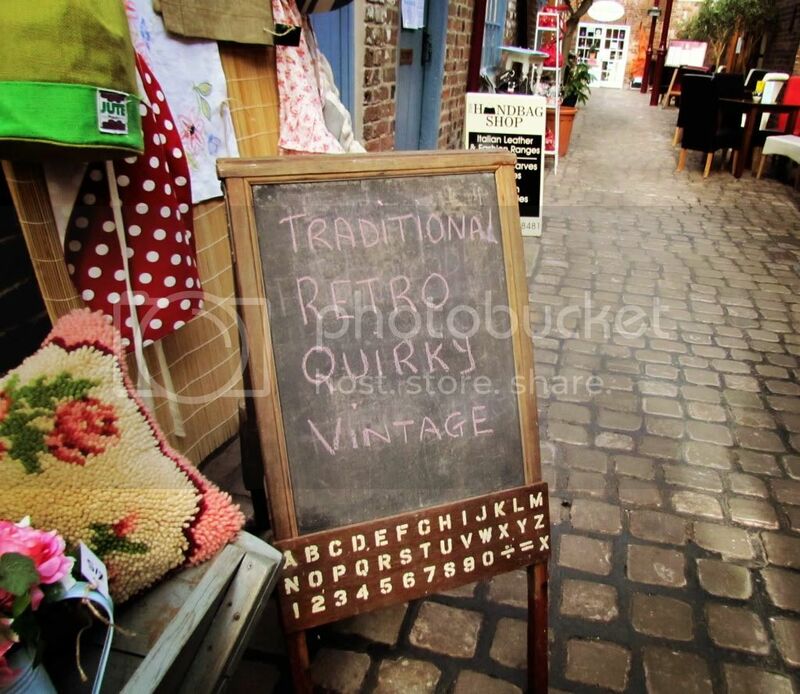 I always feel a bit sneaky taking pictures of shops but I'm sure this one is used to it as it is so beautifully vintage. 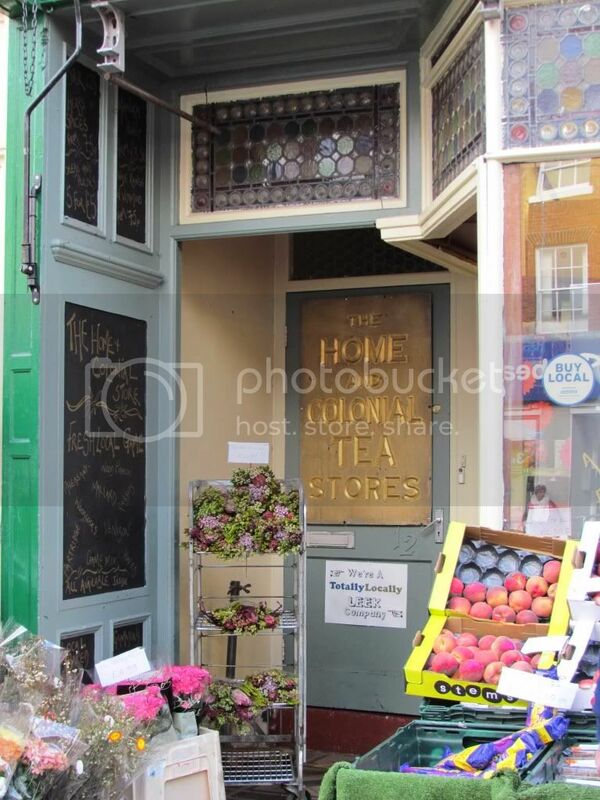 The owner seems a real character and the shop exudes charm and friendliness. 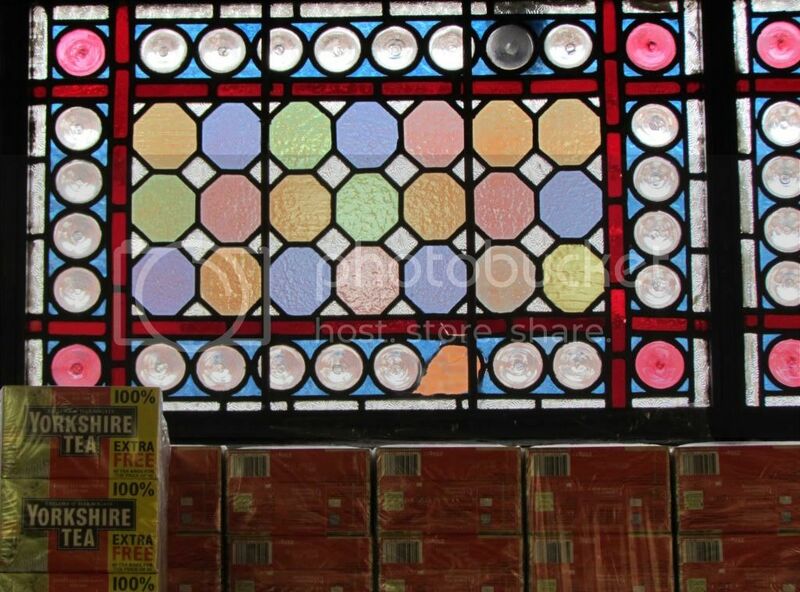 If I were bolder I would have taken more photos inside but a busy queue of customers made me feel too self conscious. You know what I mean, right....? This greeney/blue paint on the shop front is one of my favourites - it's a bit like the colour I've painted the fencing in my garden. 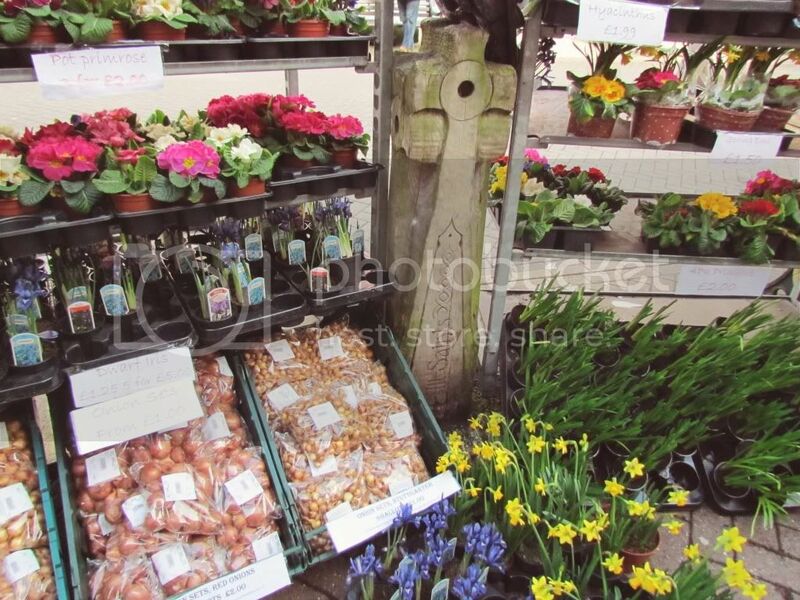 We bought the tastiest lemon swiss roll and some potted daffodils. 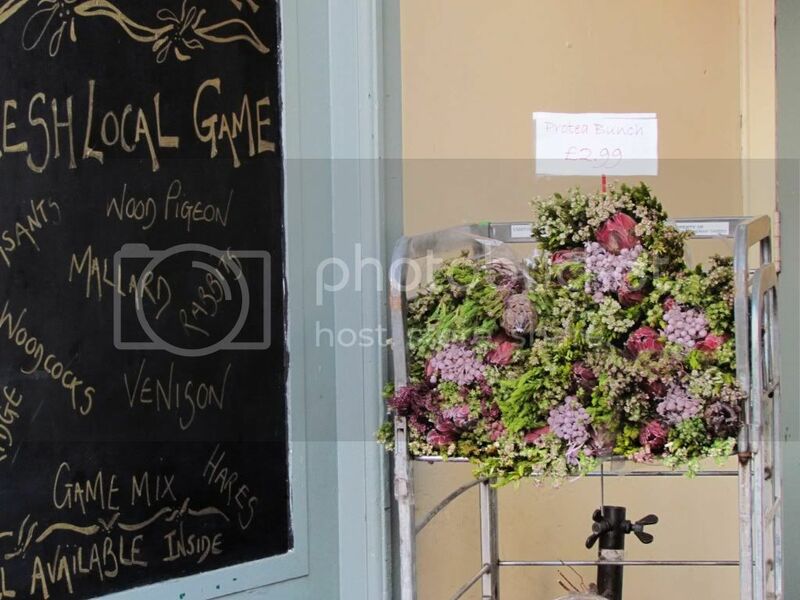 Wish, wish, wish I'd bought a bunch of Proteas that you can see in the pictures. Hope they have some next time. 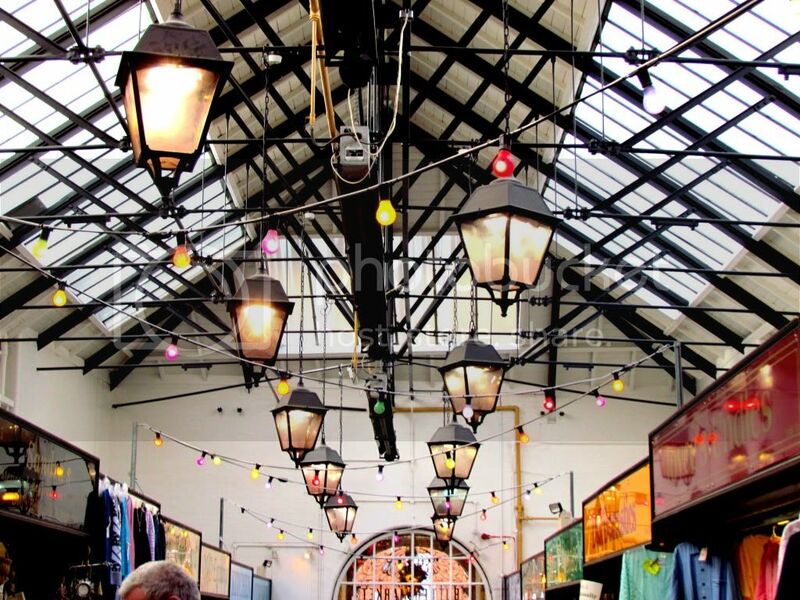 Around the corner is the Butter Market, a fabulous Victorian indoor market, lit by lamps and coloured lights garlanding stalls of local producers - cheese, jams, baked goods, meats, haberdashery and more handicrafts. Totally in my element. There was much more to explore but we were running short of time. 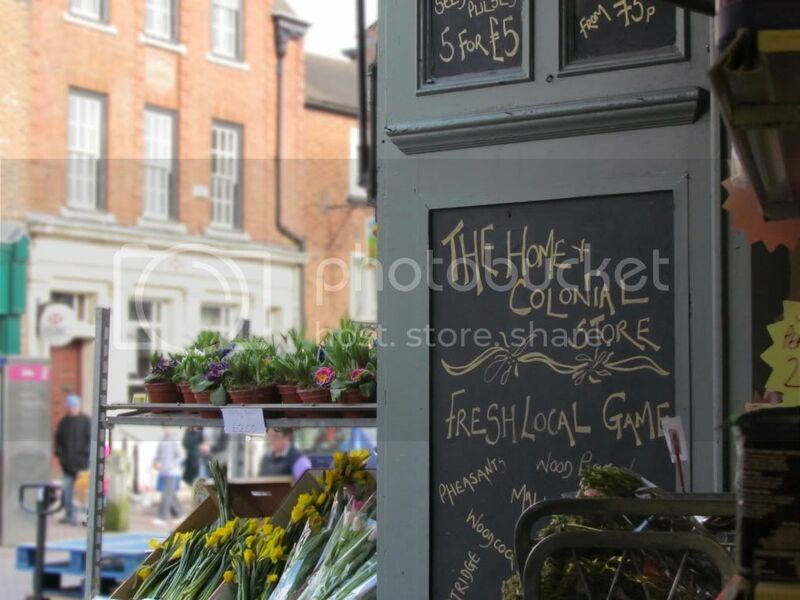 A cobbled open air market square with antiques that I was itching to look at was breezed past .....next time, next time! Have a lovely weekend. We will be nursing my little doggy as she is having an operation on her paw today to remove a nasty looking growth - she's probably having a toe removed. It's one of those where they won't know until they start the op. A very, very worried doggy mummy at the moment. Oh it looks lovely there. Just the sort of place I'd like to visit for a wander round. Wow what a lovely place to visit, sounds a wonderful place to have a mooch. I love discovering places like that. 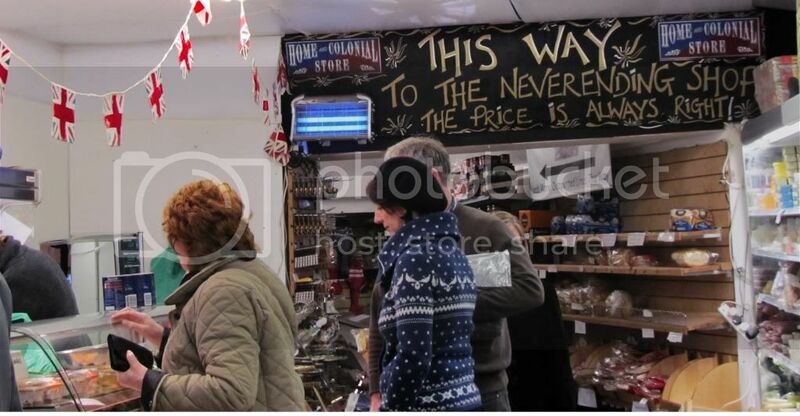 The shop look so pretty too. Hope you have a good weekend without too much worrying about your pup. Many thoughts go to your poor doggie! 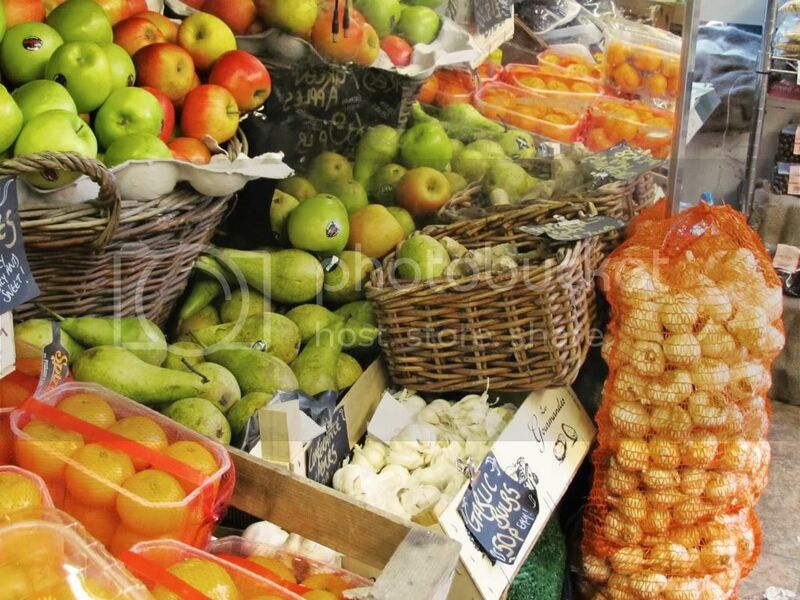 A lovely post full of colour and flavour. 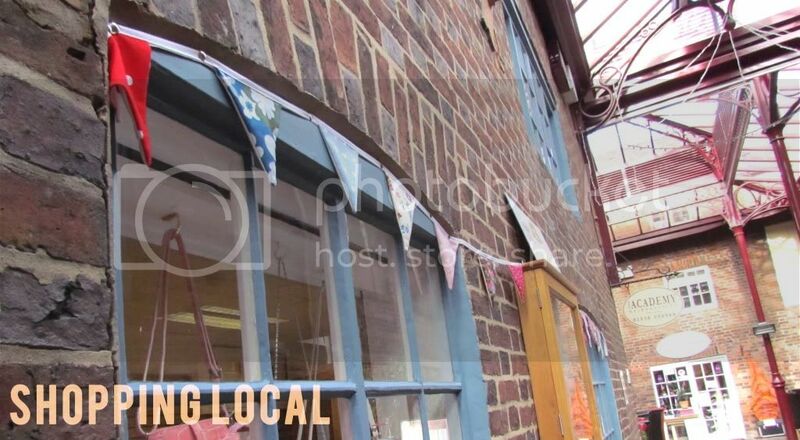 There used to be a Home and Colonial store in my home town, selling goods from Home and the Colonies. I'd love to go the Butter Market. What a fabulous place all the shops look so good. Hope your little dog is on the mend and not into much pain. Have a great weekend. 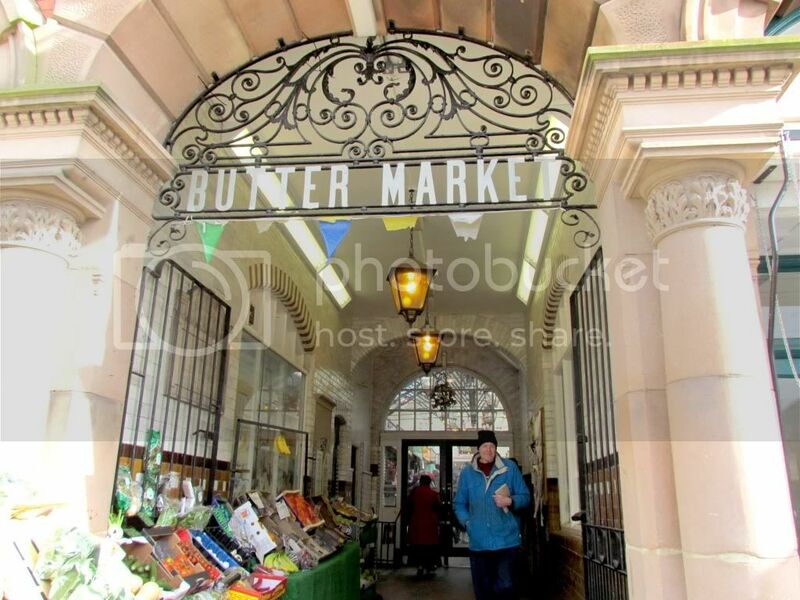 Oh I love the look of Leek - what a brilliant store Home and Colonial is and as for the Covered market I could wax on about that for days and days! I know what you mean about being awkward about photos but you have given them such a lovely write up I should think they would be very happy indeed! Looks like my sort of town. Hope your poor little dog makes a speedy recovery. - Have just linked you on my blog after I used your free printable flags for my daughter's birthday party. Thank you!